In the past, the primary reason for slipping on a watch had been – not surprisingly – to keep track of time. Invented, popularized and mass produced within the past few centuries, men and women alike have adorned sturdy, sleek or bejeweled watches to plan their day accordingly and elicit an air of classic professionalism. Transport to modern day, however, and the need for wearing a watch has greatly diminished. The handcrafted, rustic watches we watched our grandfathers slip over their wrists have been replaced by slender iPhone and Droid slivers, making a dig in our pockets for a phone more common than quickly glancing at a wrist to tell time. However, it’s the distinct air of professionalism these accessory pieces helped to establish all those decades past that has allowed watches as a style staple to transcend era and trend. Although watches have traditionally been associated with the professional realm, they’re quickly becoming a fashion must-have for men, women, casual nights out and business attire alike. SilverTribe is proud to announce our distinguished selection of meticulously crafted, uniquely personalized watches from our timeless jewelry vaults. 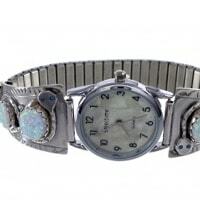 Watches are a classically appealing and timeless jewelry piece for any accessory collection. They’re sturdy, functional and elicit and distinct feeling of class – key components to complementing any ensemble. At SilverTribe, our collection of watches comes packaged with a unique, southwest-inspired color canvas and design pattern, allowing for the utmost level in personalization with our jewelry pieces. That being said, it’s vastly important to take the time to consider what watch will suit your individual preference, style and formality best. 1. Where do you intend to wear your watch? Although some watches will provide a bit more versatility in terms of formality, it’s best to hone in on the reason for choosing a particular style of watch. Looking to complement a well-planned three-piece business suit? Consider a plain, sterling silver watch cuff from our sterling silver jewelry vault. 2. What do you intend to wear your watch with? Though some shoppers may be browsing with a specific goal or occasion in mind, many of the watches found at SilverTribe can be used for multiple occasions and with varying levels of formality. Looking to play off some of spring and summer’s naturally colorful hues? 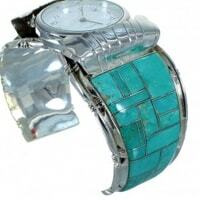 Consider one of the pale green or bright blue turquoise watches. 3. Does the watch complement your personal style? Regardless of gender, age or any other personal factor, every individual has their own personal style worth expressing. What are some of your favorite colors, shapes or designs? 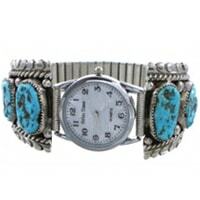 The watches found at SilverTribe contain a vast medley of eye-catching colors to choose from, including turquoise, amber, azurite, opal, onyx and rose. 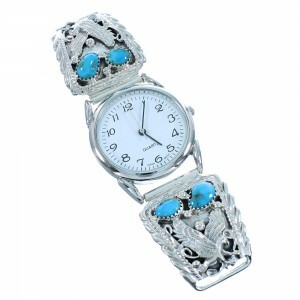 Although the kinds of watches contained within SilverTribe’s timeless jewelry vaults are vastly varied in style, shape and color, a great portion of our classic pieces come paired with a unique, southwest style and appeal. For years, SilverTribe has been fortunate enough to sustain long-lasting relationships with some of the most supremely talented jewelry artists in the industry. Many of these artists draw inspiration from the earthy, rustic southwest landscape they are native to – famous for its naturally captivating color schemes and awe-inspiring shapes. And what’s more, SilverTribe is dedicated to bringing our valued customers not only the utmost care, quality and craftsmanship our jewelry has become renowned for, but we are dedicated to ensuring affordable prices as well. 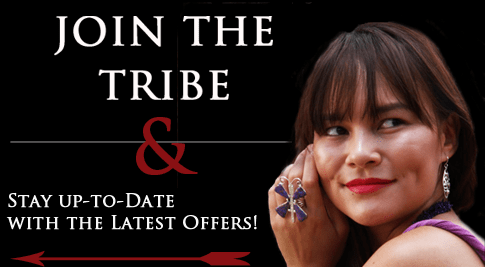 All of the jewelry found at SilverTribe comes free of shipping charges. That’s right, FREE shipping on ALL U.S. orders throughout the site – guaranteed. Looking to score even more savings on all our coveted jewelry items, including watches? Be sure to head to our homepage and sign up for SilverTribe’s exclusive mailing list. With a few simple clicks of the mouse, you can become eligible for promotional offers, giveaways and seasonal style tips and tricks. 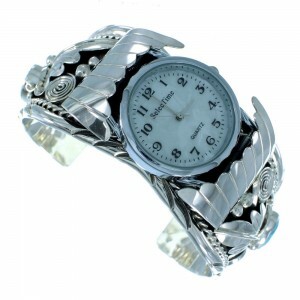 Shop for watches at SilverTribe.com and let your inner, distinguished style shine today.